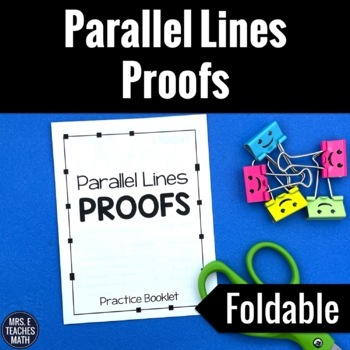 This booklet is perfect for keeping students engaged while practicing proofs. It fits perfectly in an interactive notebook. This foldable has six parallel lines proofs. It is intended for use in a parallel lines unit. 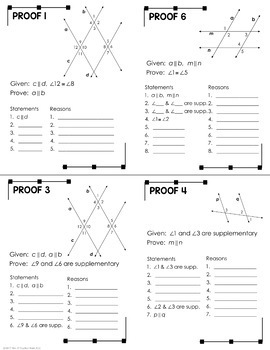 Two versions of the foldable are included for differentiated instruction. 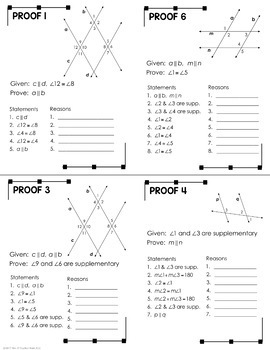 All of the proofs are fill-in-the-blank proofs. This foldable must be copied double sided. Assembly instructions and a complete answer key are included. Make sure this is appropriate for your students. Look at the product preview to make sure this fits within your curriculum.